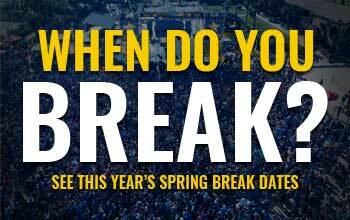 Home » Celebrities » Featured » Spring Break 2019 Concert Announcements Next Week! You’re just one week away from learning who will be performing during Spring Break 2019! On Tuesday, October 2nd, we will be revealing the first wave of performers for the Beach Bash Music Fest – Spring Break’s biggest and hottest must-attend event. We will be announcing Tuesday afternoon at 3PM Eastern time on the Panamaniac Club Card Instagram only! So please, follow the Panamaniac IG Account and be among the first to know next Tuesday! Panamaniac VIP Cards are also being sold at a special discount right now, so get your card now before the price goes up! See you on Instagram next Tuesday!